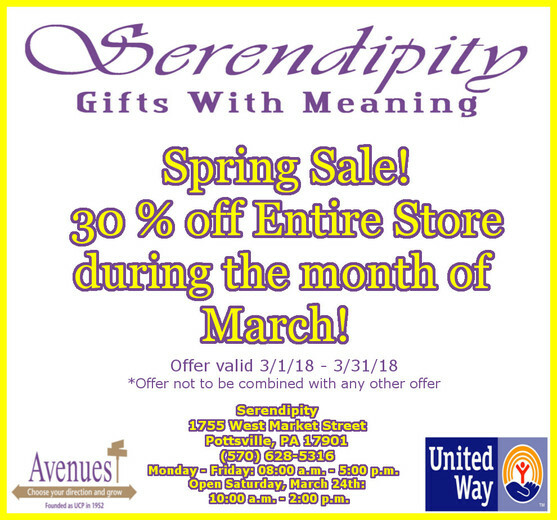 Serendipity is a unique gift store offering "Gifts With Meaning"! Unique gifts are a thoughtful way to show a friend or loved one that you care. If you are looking for unique gift ideas, our inventory of handmade gifts and one-of-a-kind stock are exclusive and as personal as it gets! Our program is designed for adults with acquired or developmental disabilities to work in a retail setting. 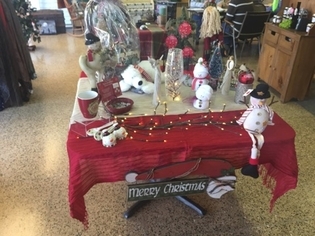 Our gift shop provides them with personal growth and enables self worth and self pride. Also, we offer the community a great way to provide a loved one with an everlasting memorable gift. Support your local non-profit organization and help us sustain the goal of providing each employed individual the opportunity to reach their optimum level of functioning.